It's been a while since I've done a custom design or a Behind the Seams segment. Today I will be sharing with you my latest work. 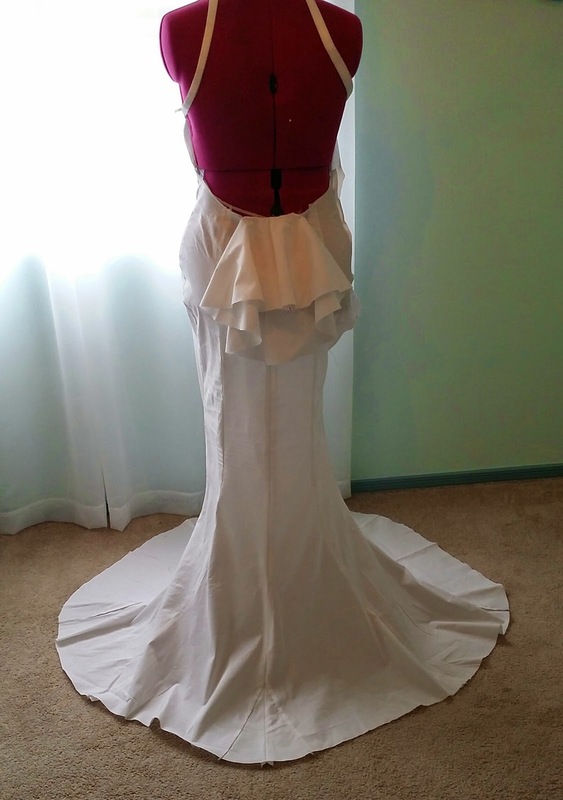 A month ago I was contacted by a young lady to design a gown for a wedding she was attending mid April. She sent me a picture of a mermaid dress she had stumbled across. The problem was that she wouldn't be able to get it delivered just in time for her event. I came to her rescue j/k. 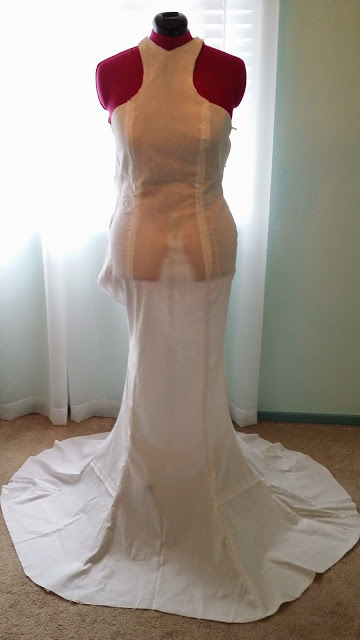 I met with her took down her measurements talked about fabric choices and any other details. Here is a sketch of the design. The design consisted of a mermaid silhouette, the neckline was almost like a racer back. The back was exposed with tiny spaghetti straps. The back skirt had a tiny bustle. The hem had tulle peeking out all around. 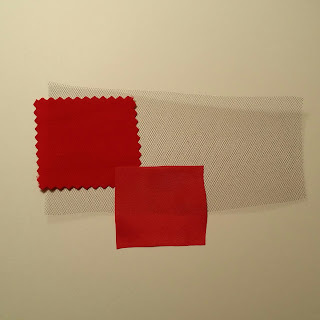 The chosen fabrics were red peach skin, red lining, and black tulle. The notions that were used included an invisible zipper and thread. I generally like to drape my patterns on the dress form over flat pattern. This method seems faster to me and I enjoy visually seeing what it could potentially become. Once I drape the pattern I move on to flat pattern and make all my lines straight and bring out the french curves. 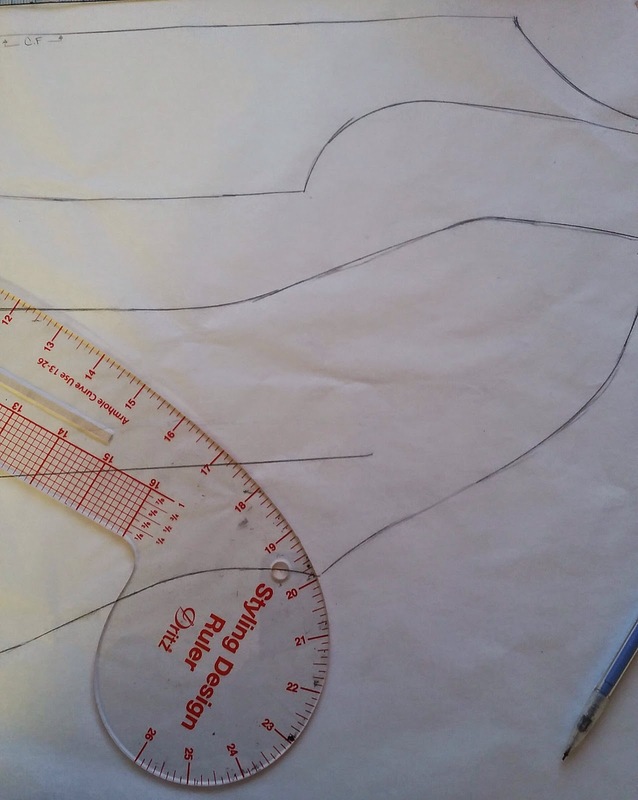 Once I'm done marking my pattern I cut up a muslin as a rough draft. 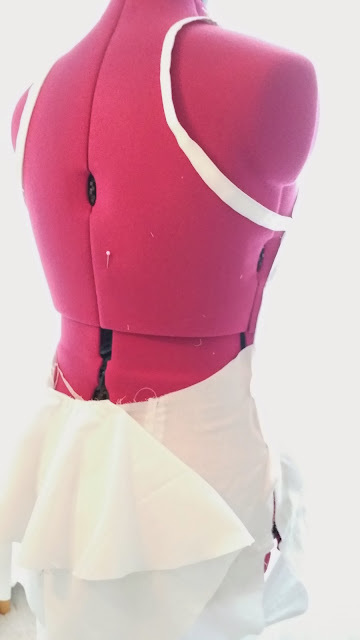 It is really important for me to do this step because I can make any adjustments before cutting onto the real fabric. In this step we look for fit and design issues. At this point we can make any changes to the design. Perhaps the neckline wasn't as flattering as she had thought it would be. 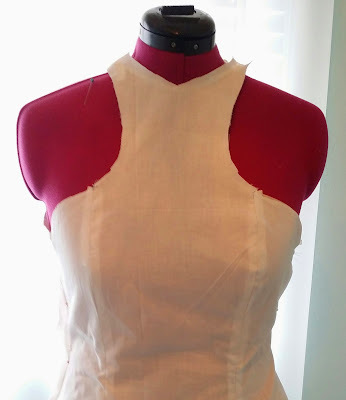 If the alterations are minor we don't have to make a second muslin unless the design has drastically changed. Next week I will be posting the second part of this segment. Meanwhile if you haven't read any of my previous Behind the Seams segment click here read all about it.